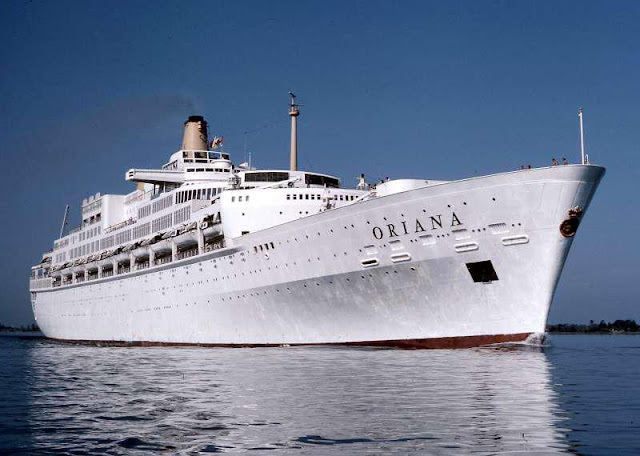 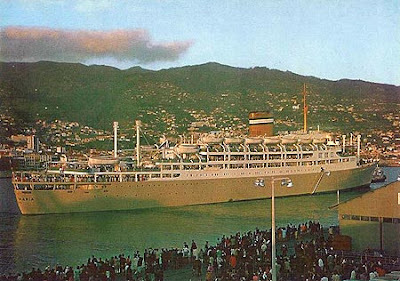 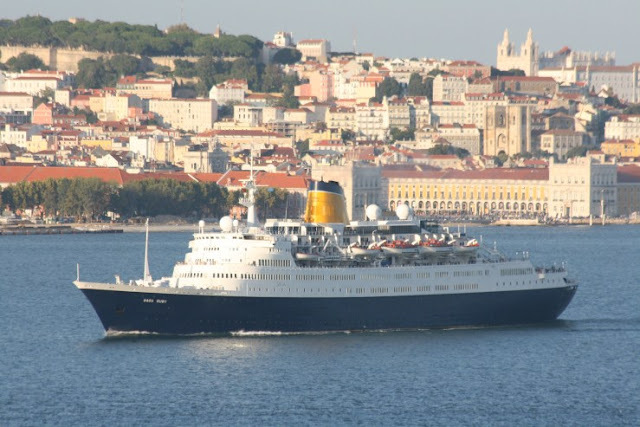 S.S. "UGANDA" of 1952, the "ship that refused to die"
Is the end in sight for the QE2 ? 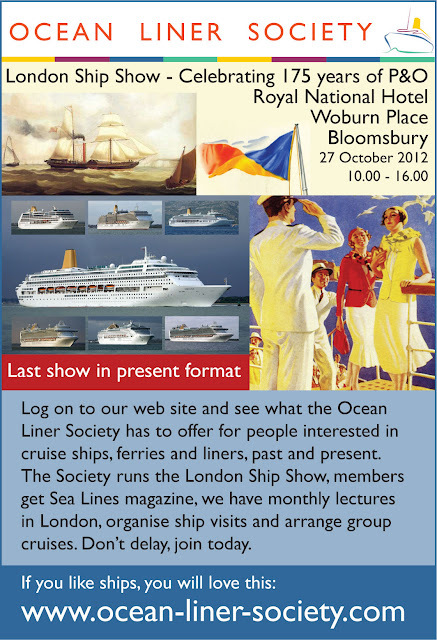 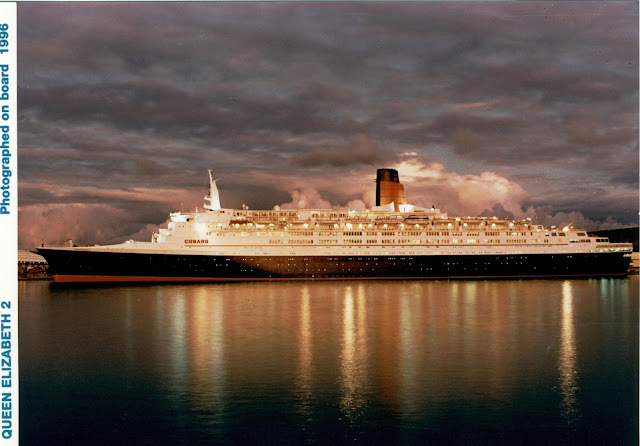 Disturbing rumours are circulating in Dubai that the legendary "Queen Elizabeth 2", OUR QE2, could be scrapped, please click link above for further reading from the Southampton Daily Echo about this matter. 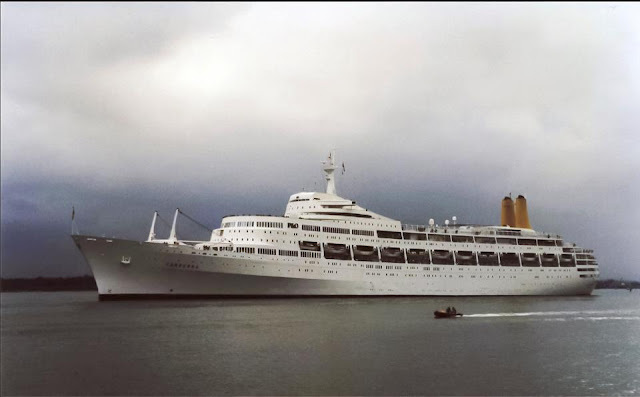 Above photo acquired on board the ship in 1996 during a cruise. 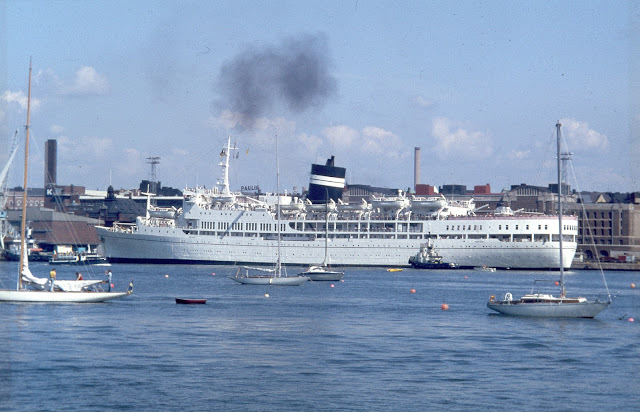 Exactly 15 years ago to this day, CANBERRA left her home port of Southampton for the breakers, one of the most iconic passenger ships of all time, one that we will cherish forever and will be present with all the ships enthusiasts on daily basis.